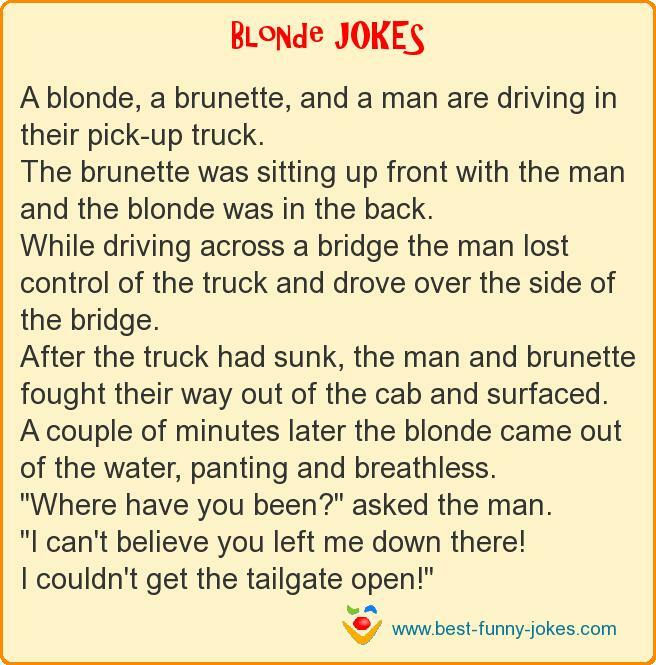 A blonde, a brunette, and a man are driving in their pick-up truck. The brunette was sitting up front with the man and the blonde was in the back. While driving across a bridge the man lost control of the truck and drove over the side of the bridge. ''Where have you been?'' asked the man. ''I can't believe you left me down there!